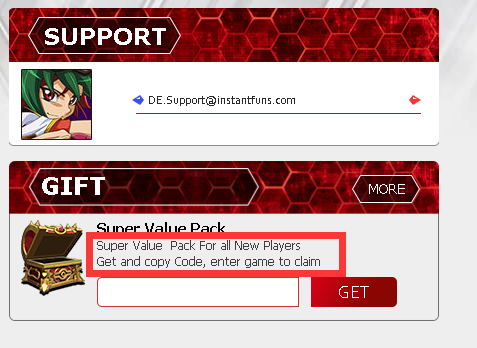 On the bottom right corner, click the ‘GET’ button and copy the code. 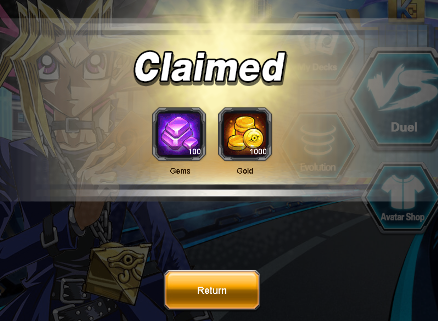 Log in to Yugioh Duel Evolution game and click your character avatar. 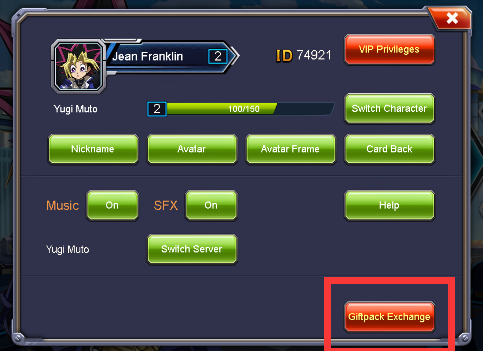 On the popped up page, click the ‘Giftpack Exchange’ to paste the code and then claim the pack.